"Many customers have obligations to meet their own timeframes; it's important to understand those requirements." 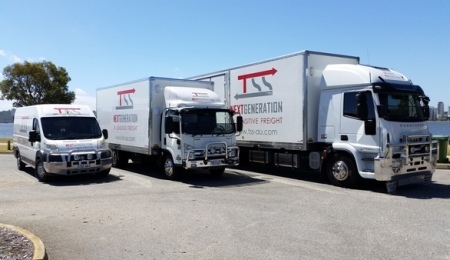 MedicalSearch spoke to Peter Mulligan, Managing Director of TSS Australasia, about the changing standards of sensitive freight transportation and the importance of exceeding customer expectations. MedicalSearch: What constitutes "sensitive freight" and when should a company treat their freight as sensitive? Peter Mulligan: Sensitive freight means different things to different people but fundamentally it relates to any freight that someone considers valuable, fragile, or simply needs to be handled with a degree of care. 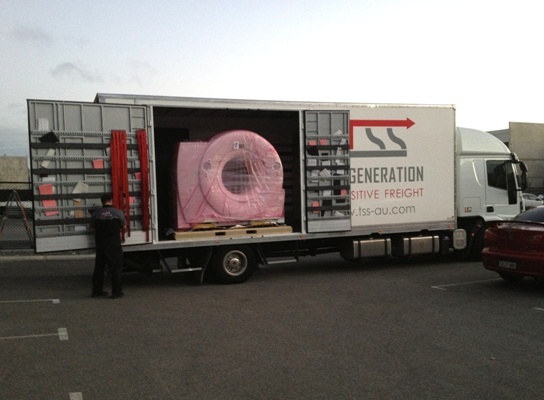 Sensitive freight are essentially goods that should be transported in a way that ensures they arrive at their destination in their original condition. This process involves packaging, loading, transporting, unloading, and lastly, positioning. MedicalSearch: What are the major benefits of a "turn key" approach to sensitive freight transportation? Peter Mulligan: We here at TSS developed the "turn key" approach as it provides our customers with a complete transportation package. It gives customers the assurance that their goods will be in place and ready for them to activate, install or use, without the need for positioning or unpacking. We saw this as another aspect to the provision of a complete transportation service which goes beyond simply delivering a customer's goods to their front door. MedicalSearch: Why is it important to know exactly where your freight is at any time, day or night? Peter Mulligan: Many of our customers require their goods to a tight schedule. We believe that it is critical for our company to be able to show customers exactly where their goods are at any given time. It provides your customers with real-time information and allows them to confidently know when their goods will arrive. Many customers have obligations to meet their own timeframes, and we feel it's important to understand those requirements and work with people to ensure that everyone is fully informed. Also, the very nature of "sensitive freight" often means that the goods we deliver are valuable; an accurate freight tracking system provides comfort to our customers, as they understand that we know where their valuable goods are at any given time. MedicalSearch: Is there an aspect of your transportation and tracking system that you think is really important to your customers? Peter Mulligan: Well, our TSS bespoke tracking system allows us to track and trace any item at any time of the delivery process. What the system also allows us to do is provide our customers with documented proof of delivery. We feel that this is obviously very important to a number of our customers as their goods are often being delivered to third parties. It's fundamentally important that our customers are able to confidently advise their own customers that the goods are in transit or have arrived. 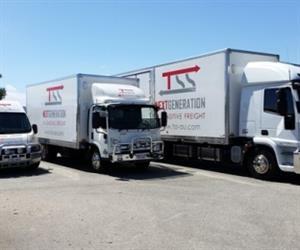 The TSS system guarantees that all parties are fully informed and accurately know where their goods are at any time. MedicalSearch: Where is the sensitive freight transportation sector heading in the future? Peter Mulligan: The very nature of sensitive freight transportation requires a higher standard of care. To achieve this it is critical to ensure your company is at industry best practise in terms of safety, quality, and expertise. We continue to invest significant time, funds and effort into developing Safety Management Systems with appropriate documentation and training. We've also begun our Quality Management Program and intend to have that operational within the coming months. The future of any sensitive freight transport company requires a continuous improvement approach to all aspects of what it does. It's also about innovation, core values, and recognising the needs of customers. The companies that will survive are those that strive to meet or exceed the expectations of not only its customers but also the legislators and authorities that govern the transport industry. The world is very different from what it was just a decade ago, so it's important to acknowledge that evolution and differentiate yourself by striving for best practice in safety, compliance and customer satisfaction.